I need to clean it off. Back at IU I had a friend who proudly told me that he was one of those terrible “fair weather fans.” He paused for a beat and then informed me that when the weather was fair, he would go. 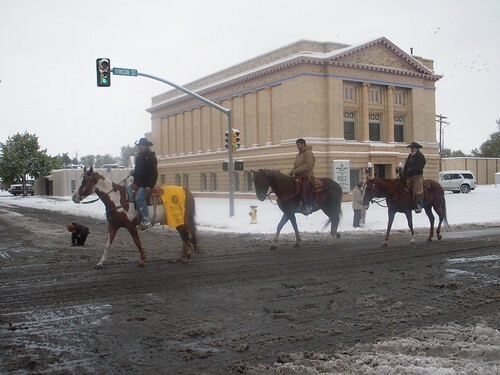 Today it’s cold and snowy in Laramie. 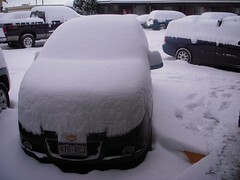 My car has 4-5 inches on it—maybe a tad bit more—and I haven’t gotten around to cleaning it off yet. Instead I’ve been walking around downtown and poking in and out of a couple of shops. I did spend a bit outside watching the UW Homecoming Parade go by. The marching band wasn’t there but there were a number of hearty participants. US Senator Mike Enzi and his wife came by in a convertible, and there were a couple of participants wearing minimal clothing—although some of them were in a hot tub. Although the game is going on, with something like 8,000 fans in attendance; I’m not there: I’m some place warm. 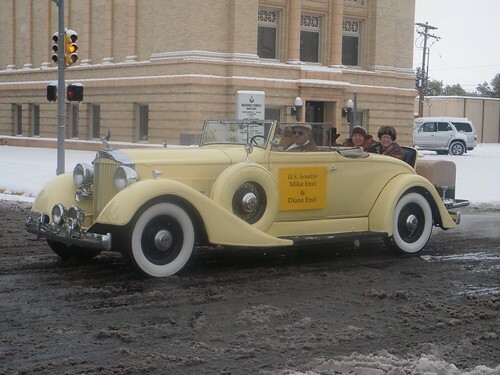 Senator Enzi is truely Wyoming: He's in a convertable! Three horses must be a record low number of horses for the parade. Only the German Club participated. The French did not. 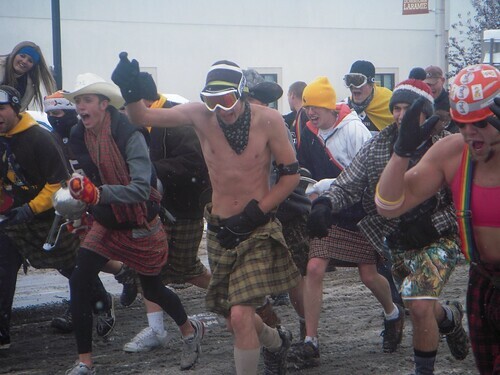 The hot tub was probably the best way to do the parade. This group worshiped fire and police--they just spotted one and charged! 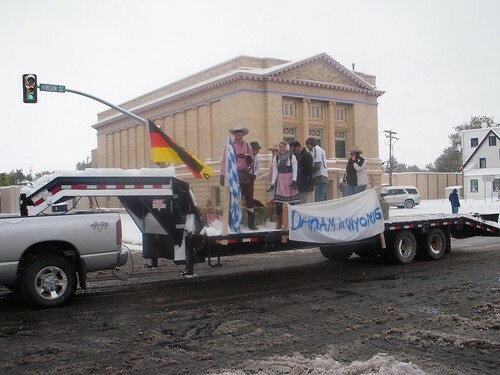 I still want to know what the German Club’s banner says. Is it normal to have so much snow this early in the year, or are the locals used to it? Ian – Snow happens every month in Wyoming–although in October it usually isn’t this heavy. That said, the weather will be warming and at lower elevations it will be gone by the end of the week.